This passage served as one of my late friend Mark’s favorites. He and I prayed through it together numerous times. We prayed it over people who needed to experience God’s comfort because of a difficult situation they faced. He and I prayed it nearly daily as we walked through a season of great loss, where it seemed like one of us was always attending, speaking, or officiating a funeral. I have learned praying God’s Word during times of trouble that helps people navigate times of great suffering. Prayer is often the best response when we can’t find the right words to say. Rather than trying to formulate just the right words, love on someone by praying for them, over them, and with them. God is praiseworthy because we can count on Him during times of distress, suffering, and trouble. Through toils and snares, the Lord provides us strength and encouragement. Whatever we may be going through, our God is big enough to supply for every need. He is our Great Comforter. May your day be filled with the Lord’s abundant blessings. 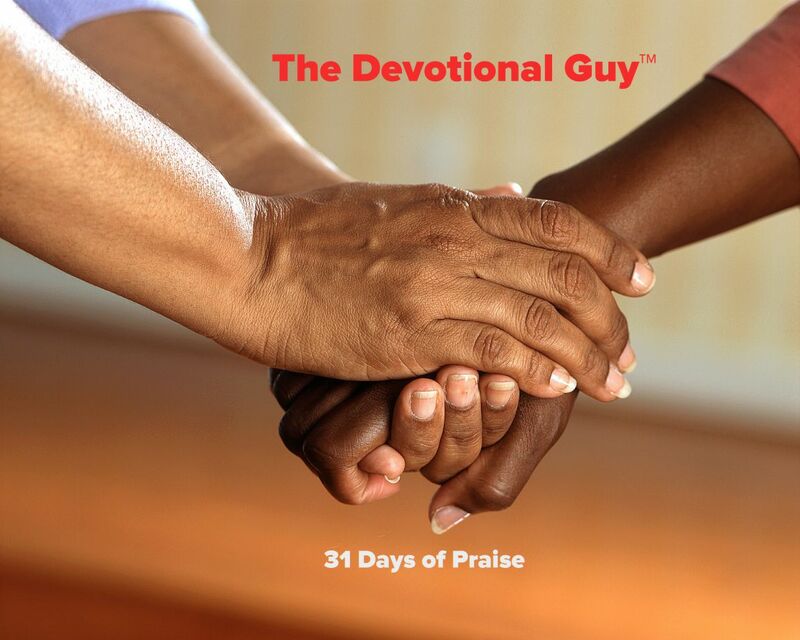 Has this series “31 Days of Praise” served as a blessing to you? Please share it with your family, friends, and neighbors.